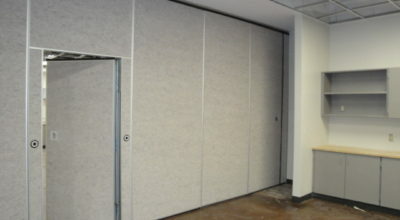 Are your San Antonio operable walls and partitions sticking, damaged, or not functioning correctly? Let the experts at Specialty Building Services take care of that for you! We specialize in offering affordable San Antonio operable wall repair and restoration. 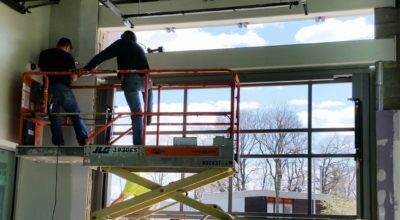 Our team of dedicated repair experts are knowledgeable and factory-certified, and have experience in working with all types of operable partition and wall systems, including Kwik-Wall, Hufcor, Modernfold, Panelfold, McKeon and more. We take the time to properly diagnose the issues your system is facing, then come up with the best plan of attack to correct the problem and get you back up and running as quickly as possible. We understand that a damaged or non-functioning operable wall can be a massive issue for San Antonio area businesses, hotels, schools, churches, event centers, and more, so we always make sure that we do the job correctly and quickly the first time. Contact our team today to get a free quote on your repair. 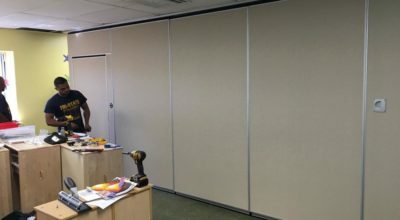 While we’re out, we can also offer professional maintenance to your other operable partition systems, as well as many other services for your space. Don’t delay. Reach out to the professionals at Specialty Building Services today! Ready to let our professional team help with your San Antonio Operable Wall Repair? Got a quick question for our experts? Drop us a quick line using this form and we’ll be happy to get right back to you. Thank you! Terrific service and now our partition wall moves perfectly again! So glad I found SBS. I use them for all my properties. Timely service, great rates, and outstanding quality. I highly recommend SBS.